This article explains why even a small module such as your login page can play a very important role when it comes to your overall website usability and providing good user-experience to your site visitors. One of the most stressing parts about joining a website is to provide detailed information on a Log-in form, just to have complete access to that particular website. On one hand where log-in forms are essential for website owners, they can also be cumbersome and often take people off of a website. This is because they lookout for other easier log-in options on similar kind of websites where it is not always a hassle to log in to a website to use it. With a fast-paced generation, youngsters and adults need one click options to log in to a website. Their time is precious and they do not have the energy in them to always type in their complete email address or name for access to these websites. Transaction websites, E-commerce websites, Communities, Social Media websites, blogs, online marketplaces etc are all examples of websites and applications which require individuals to fill out log-in forms. People can access these websites and applications on a number of various devices where it is not always convenient for them to type in each and every detail while logging in. You may also like What is a mobile friendly website and why is it important for your startup business? This log-in facility was introduced after social media websites such as Facebook and Twitter were noticed and used by people across the world on a daily basis. Since these social media websites, require all basic information during sign up, many websites integrate a plug-in which allows users to skip the registration process and just use their Facebook or Twitter information. This plug-in is available online to download and integrate on to a website. Majority of the user-friendly websites have opted for this log-in option which is one of the reasons why they get heavy traffic to their websites. Some websites require a person to register with them once. You will be required to input your basic information such as full name, gender, age and email address once to register on the website. Once you are registered, the information is stored on the websites users’ database. Every time you log in, the website is only going to require you to enter your email address and set password to gain complete access to the website. This method is a lot convenient than the requirement of full information each time a person wants to log on to a website. Certain websites also offer user name log-ins. These websites will require you to enter your basic information at the time of the registration and set your personalized user name. 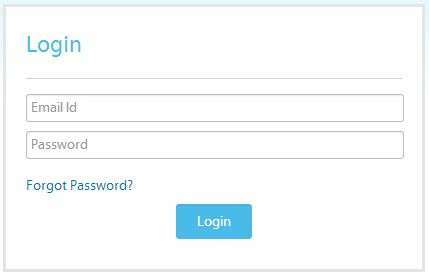 Whenever you would want to log-in on a website, it will prompt you to enter your user name and password which is also a convenient method of logging in instead of giving full-fledged details each and every time a person needs full access to the website. These examples of log-in methods have been the most successful online. Ample people use such websites which have incorporated these methods on their platforms. Developers are working to further increase the convenience of logging in however users seem to be quite happy with the above methods as well. ← How vacation rental website works?